Avendus advises Laserline on the sale of 100% stake in Lutech to One Equity Partners. Laserline S.p.A ("Laserline") has today announced the completion of the sale of 100% stake in Lutech S.p.A ("Lutech"), a leading Italian IT system integration and solutions provider, to One Equity Partners Europe GmbH ("OEP"), a New-York and Frankfurt-based mid-market private equity firm. The terms of the transaction have not been disclosed. Avendus was the exclusive financial advisor to Laserline, the majority owner of Lutech. 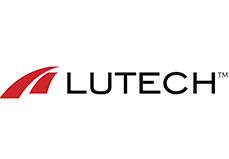 Lutech is a leading mid-sized IT system integration and solutions provider to medium and large Italian private and public-sector clients, with a diversified offering across vertical markets and business models: system integration, proprietary vertical market solutions and next generation IT infrastructure. “We look forward to working together with our new shareholder OEP to back our future development. Over the past four years we have grown Lutech significantly. We are now ready to take the company to the next level with further consolidation within as well as outside the Italian market, to further support and add value to our customers.” said Tullio Pirovano, CEO of Lutech. “We worked seamlessly with the Avendus team, who provided us with a high level of professional assistance across transaction phases. Avendus team demonstrated the commitment, deep knowledge of the IT market and a structured approach that was instrumental to the effective closing of the LutechOEP deal, creating the conditions to take Lutech to the next level with further consolidation within as well as outside the Italian market,” Pirovano added. “Together with management, we will apply the experience from our successful investment in one of the leading Italian IT service providers and continue to expand Lutech’s product and service offering for the benefit of its customers and employees.” said Dr. Jörg Zirener, Managing Director at OEP. Lutech is a leading Italian IT system integration and solutions provider, designing and enabling digital transformation and innovative enterprise technologies for private and public-sector clients. Among the leading IT system integration and solutions providers in Italy, Lutech is able to deliver a wide span of solutions from strategy definition, product licensing and maintenance, to operational management. The company is recognised for its capabilities in the following domains: next generation IT infrastructure, cloud solutions, customer engagement solutions, credit and ePayment solutions, cybersecurity, IoT & Big Data, eHealth solutions and cognitive computing. For more information, please visit www.lutech.it. OEP is a middle-market private equity firm focused on the industrial, healthcare, and technology sectors in North America and Europe. The firm builds market-leading companies by identifying and executing transformative business combinations. OEP is a trusted partner with a differentiated investment process, a broad and senior team, and an extensive track record generating long-term value for its partners. Since 2001, the firm has completed more than 140 transactions worldwide. OEP, founded in 2001, spun out of JP Morgan in 2015. The firm has offices in New York, Chicago, and Frankfurt. For more information, please visit www.oneequity.com.